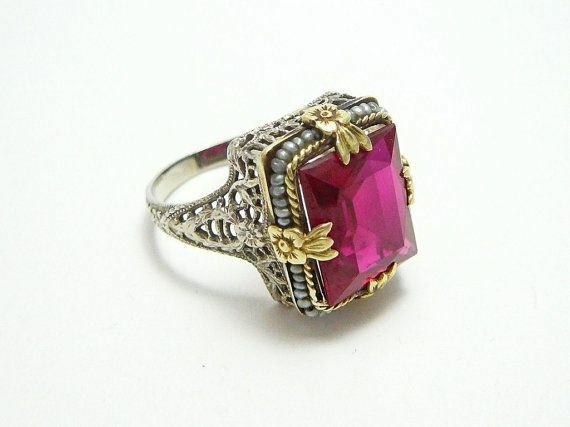 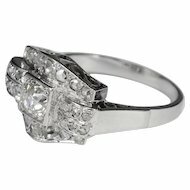 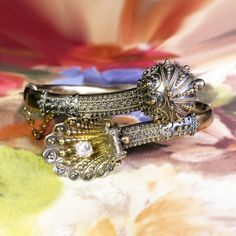 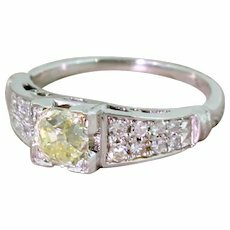 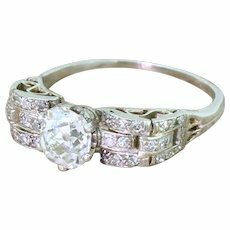 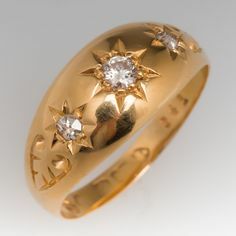 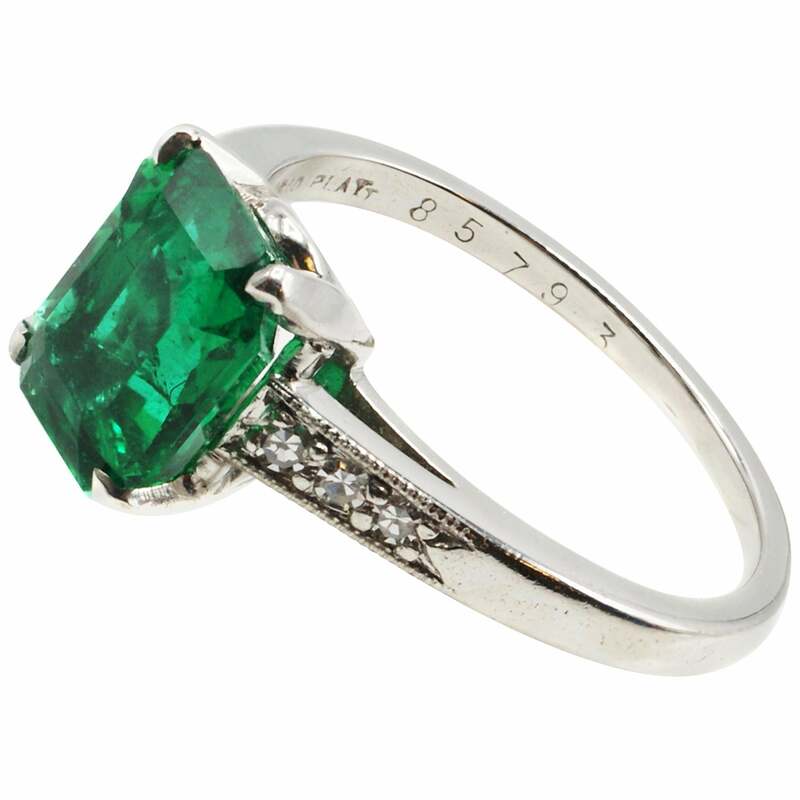 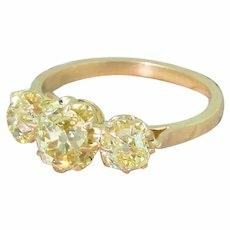 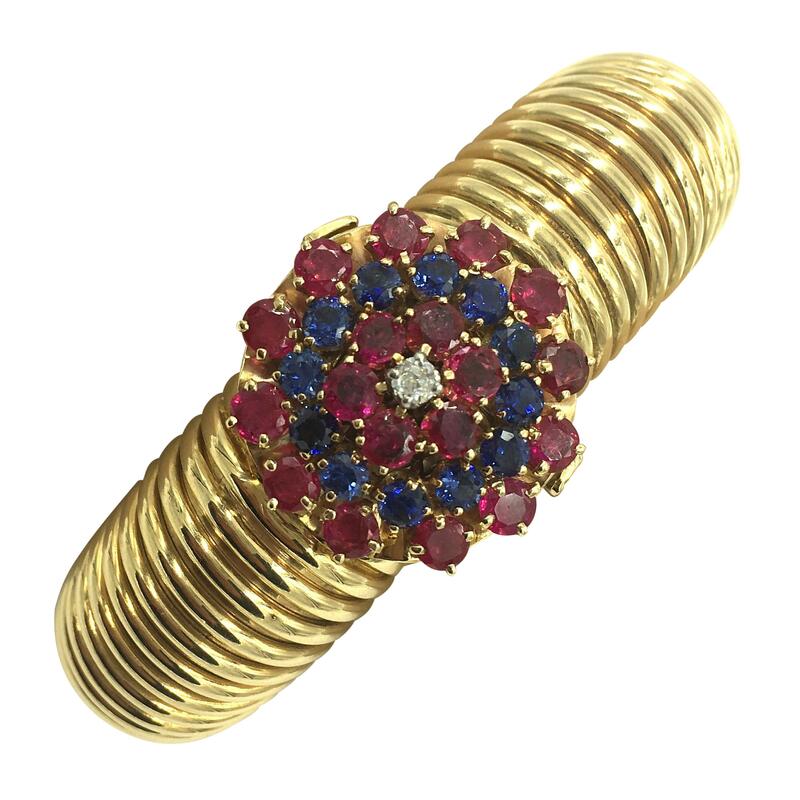 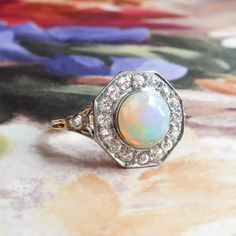 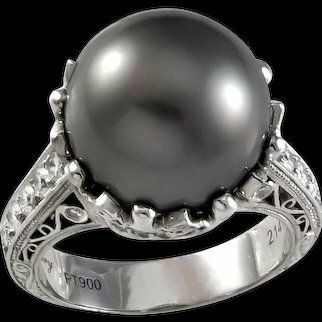 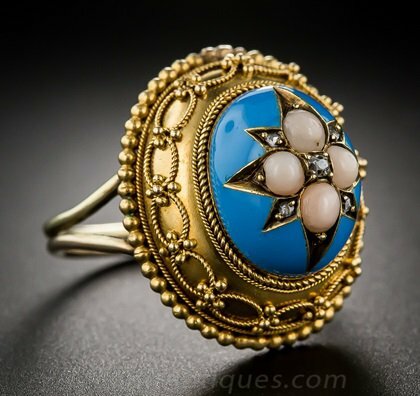 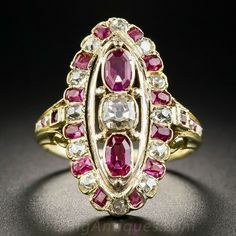 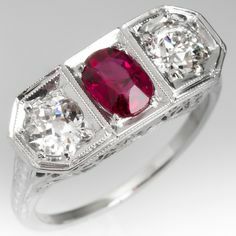 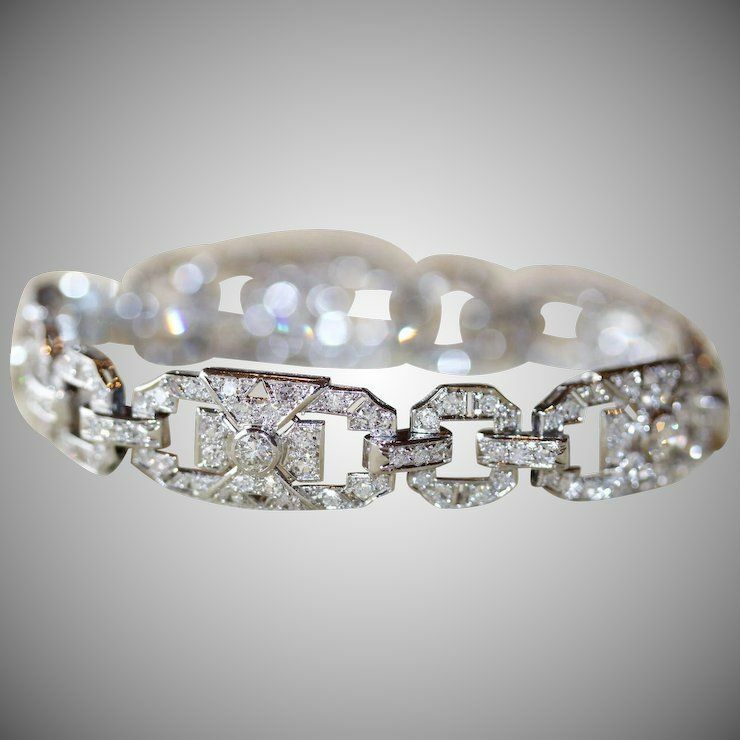 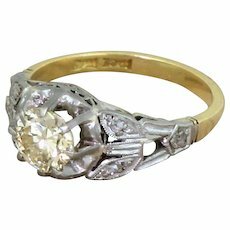 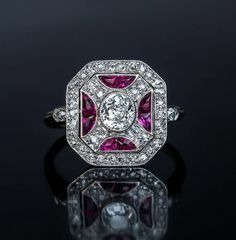 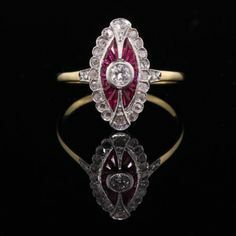 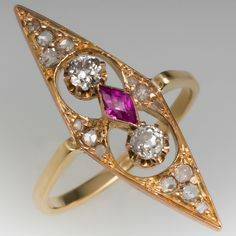 Rare art deco ring...circa 1920. 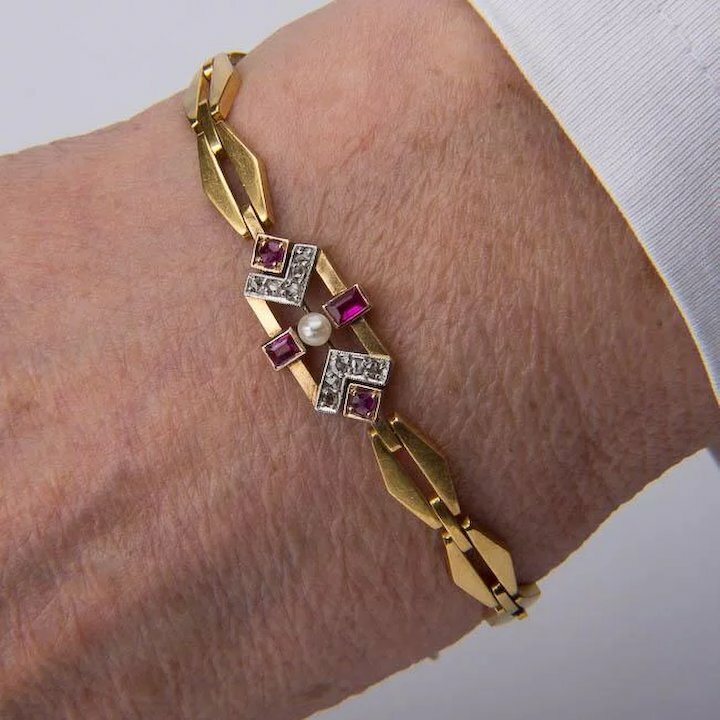 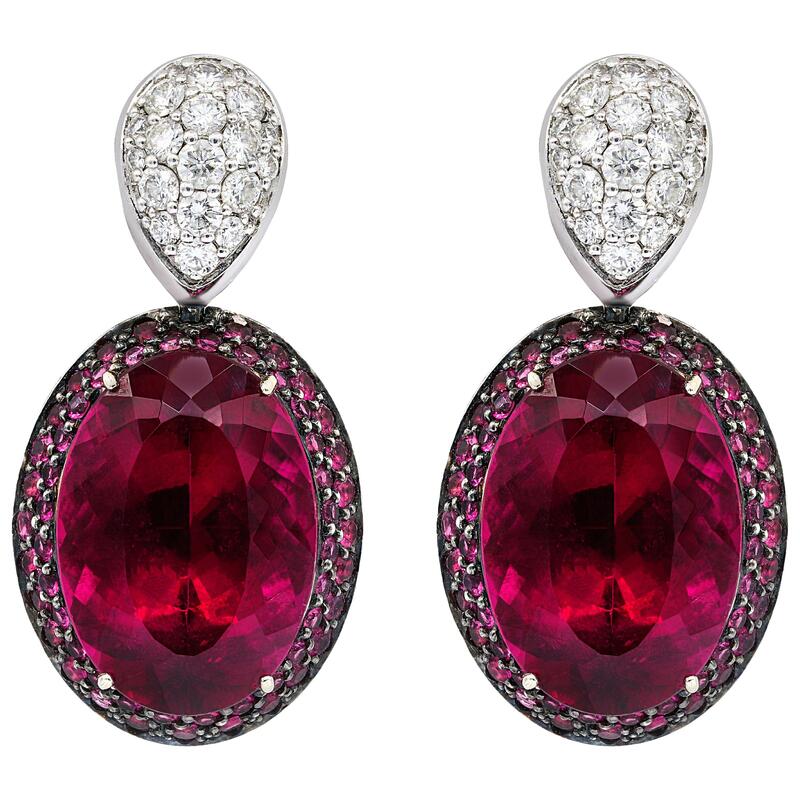 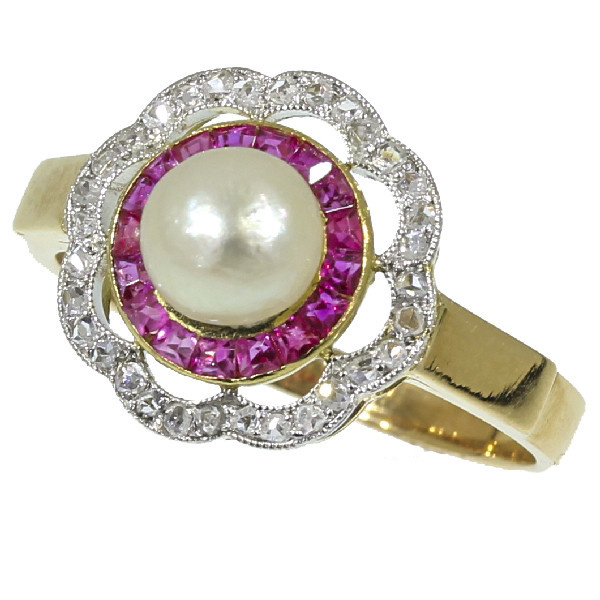 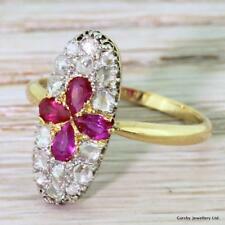 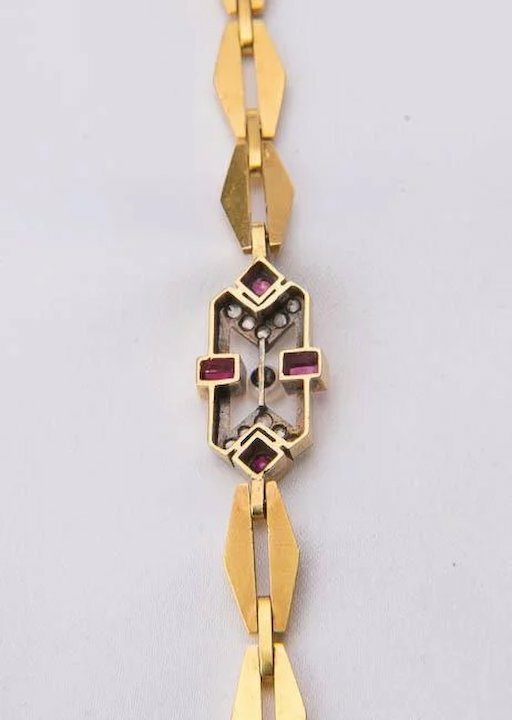 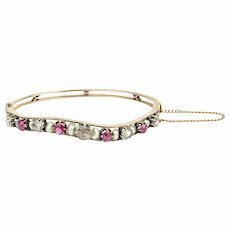 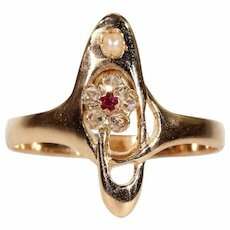 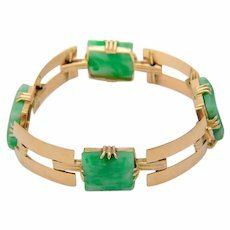 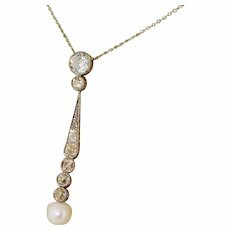 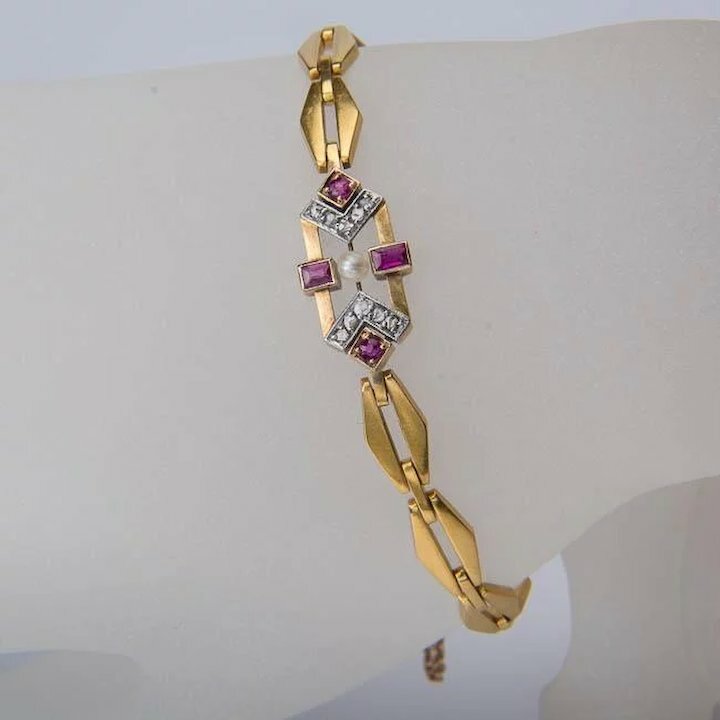 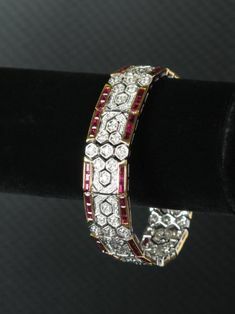 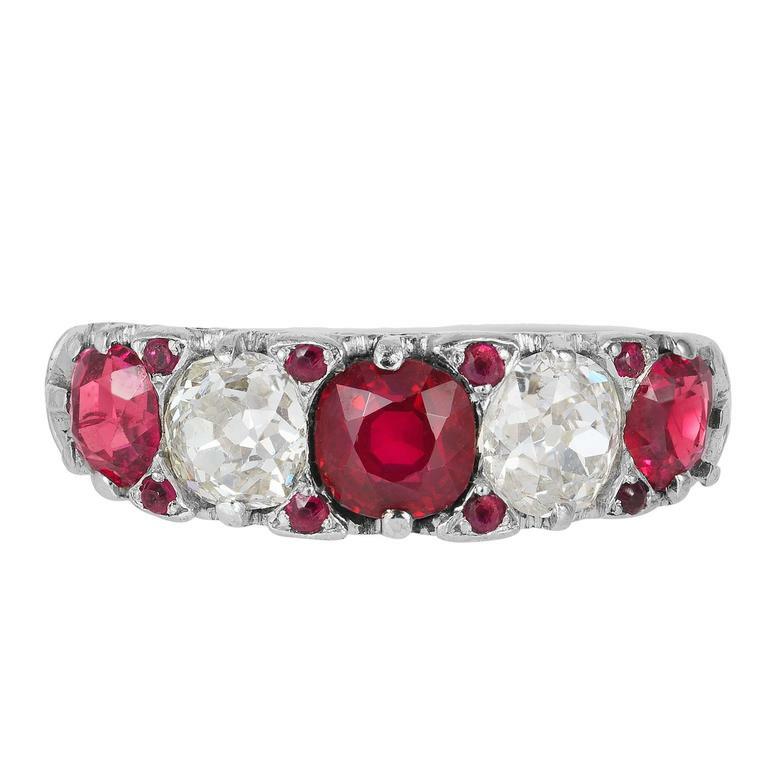 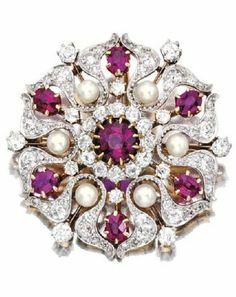 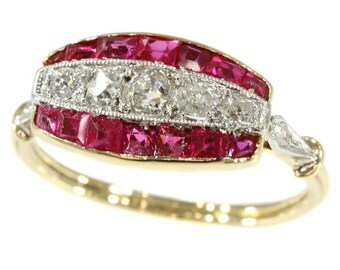 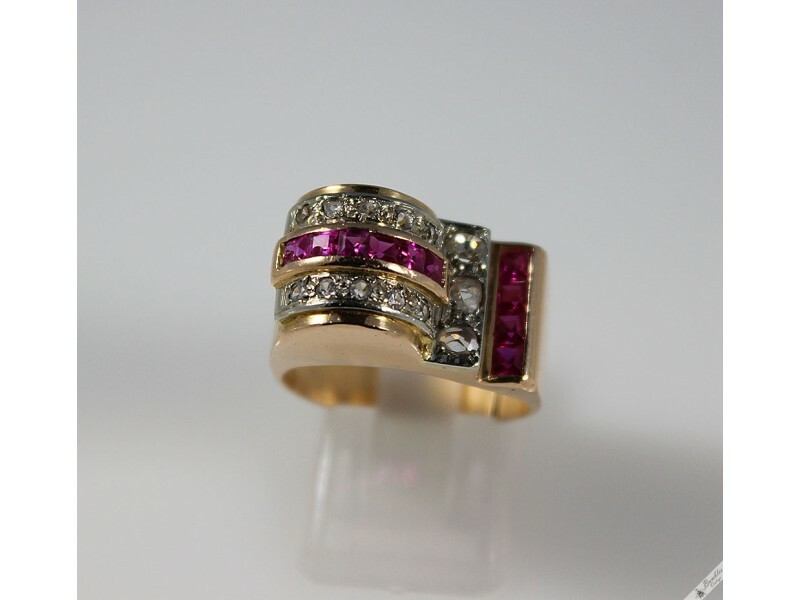 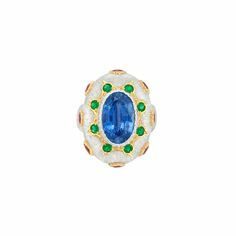 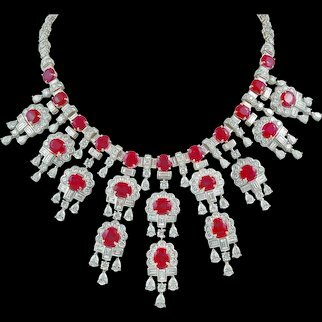 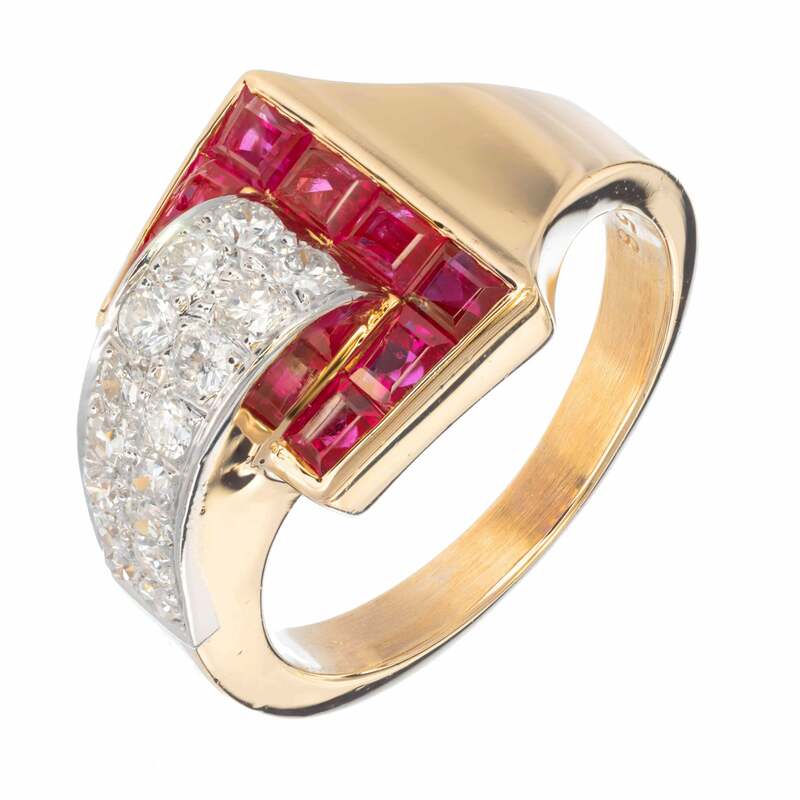 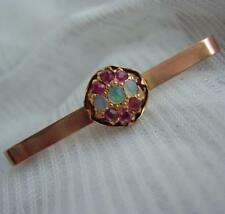 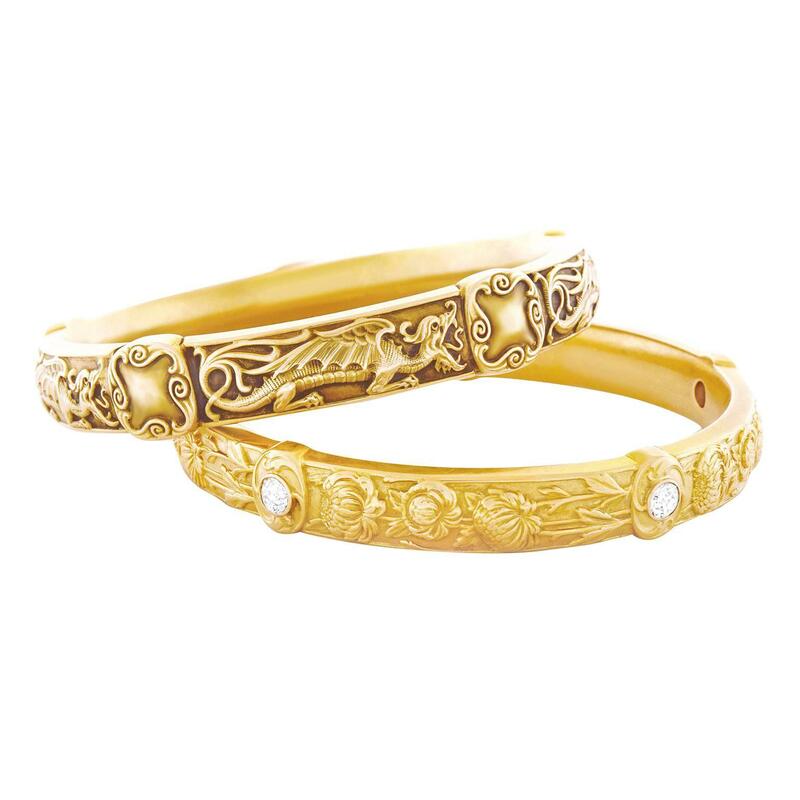 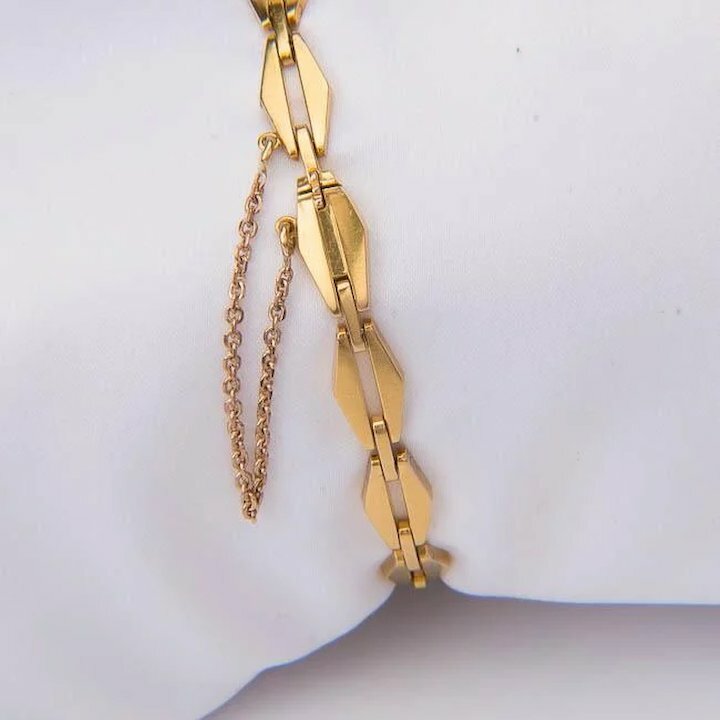 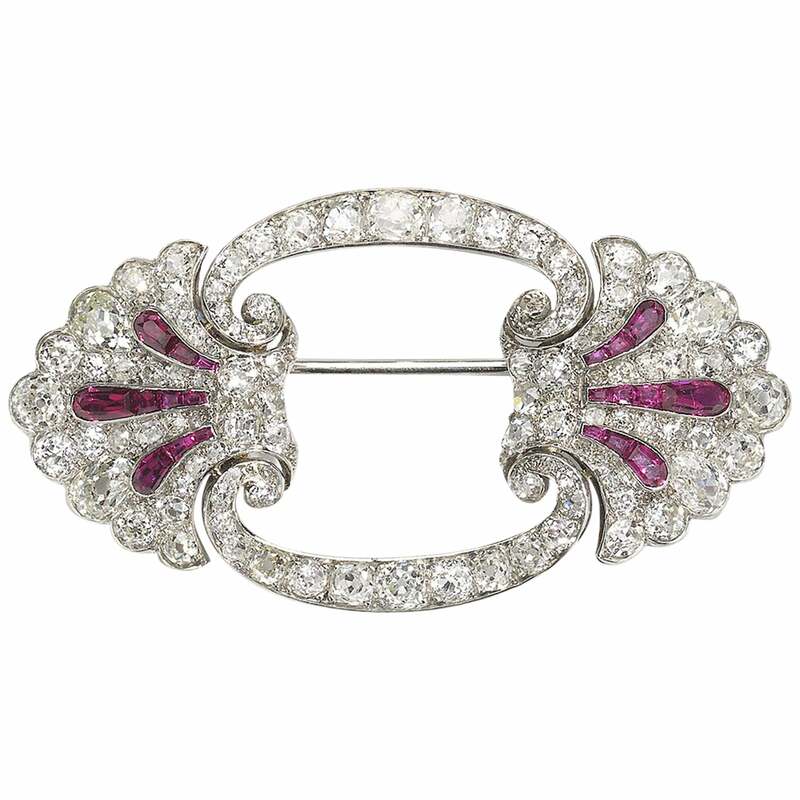 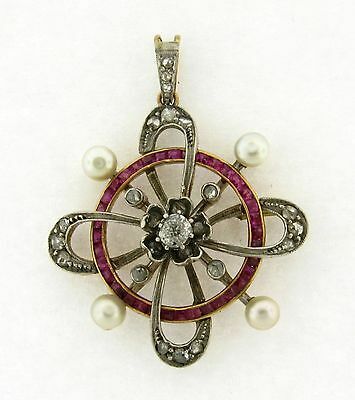 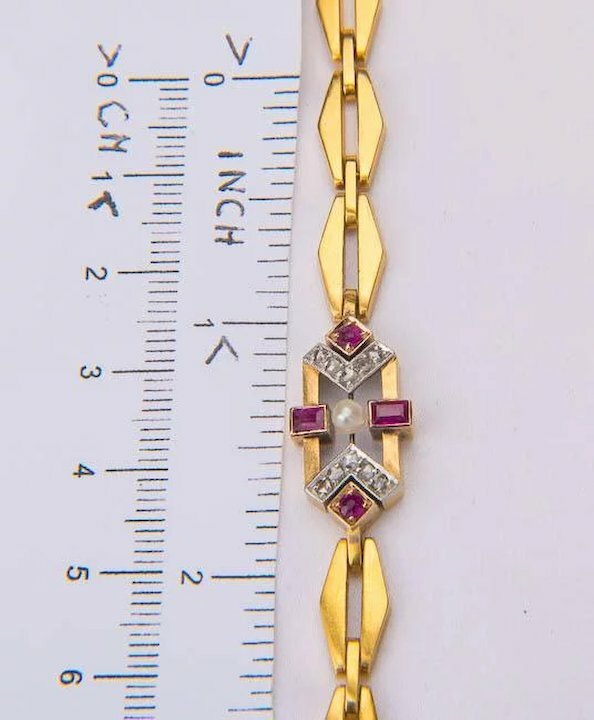 Emerald cut ruby and imitation seed pearls on yellow gold filigree mounting. 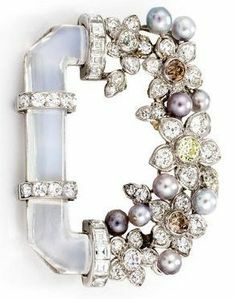 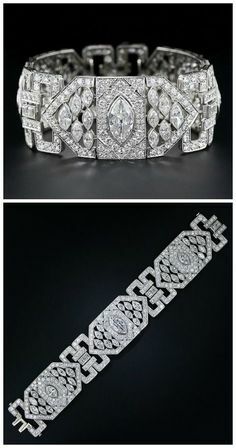 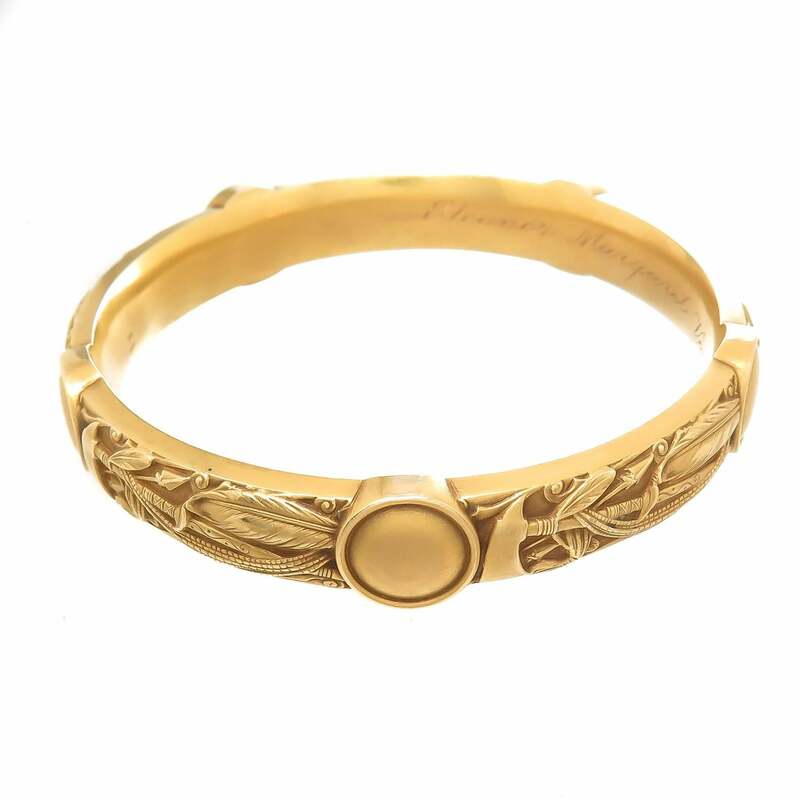 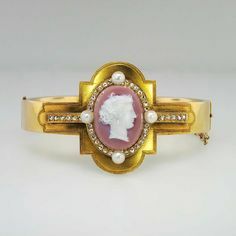 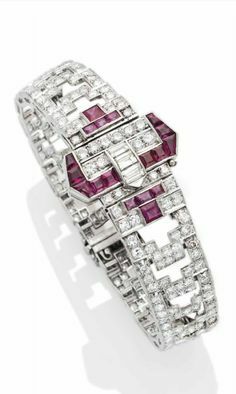 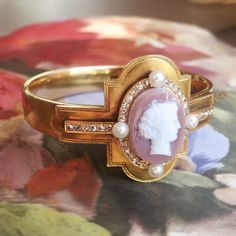 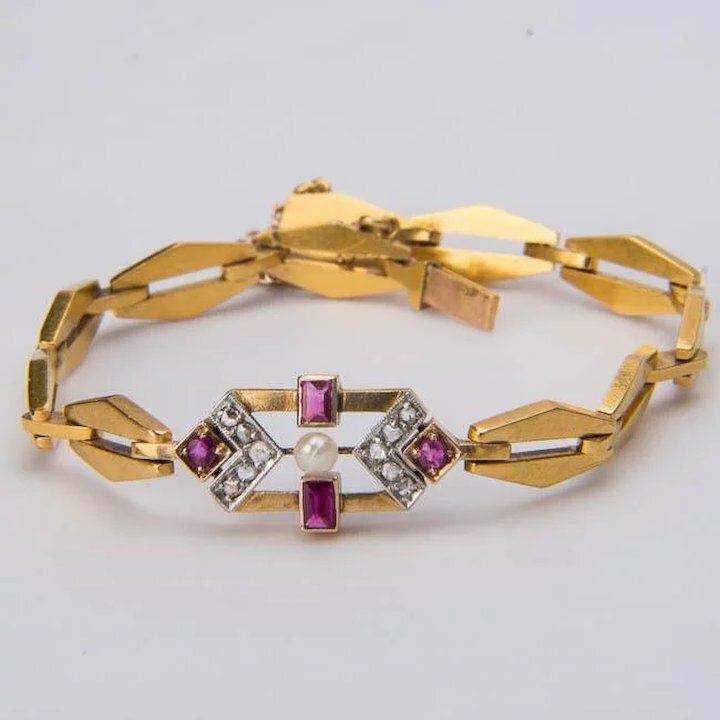 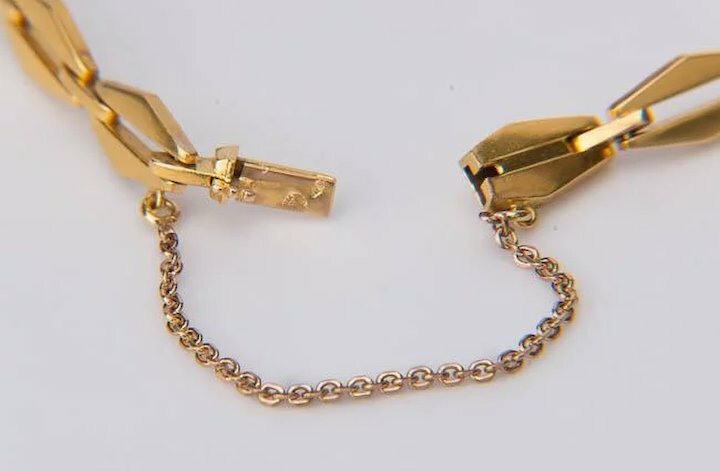 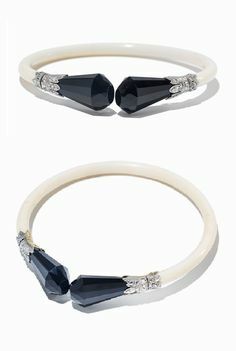 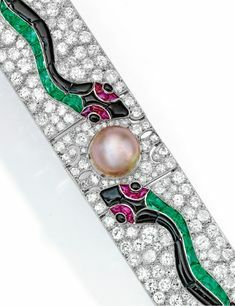 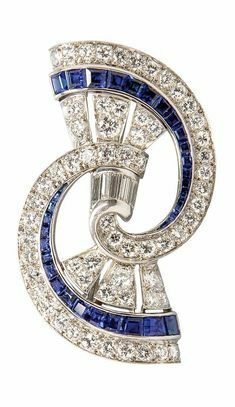 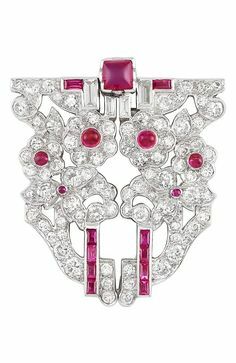 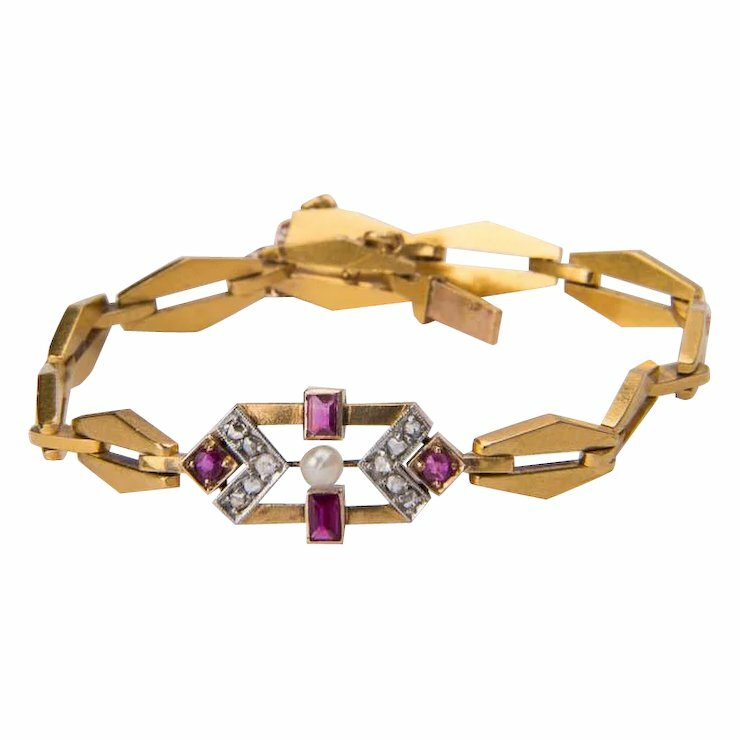 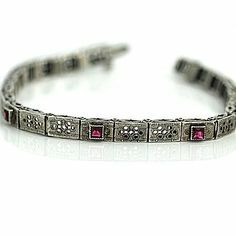 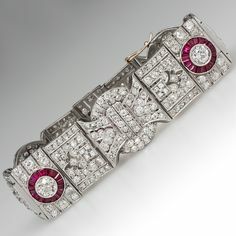 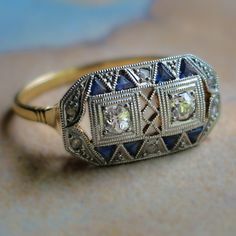 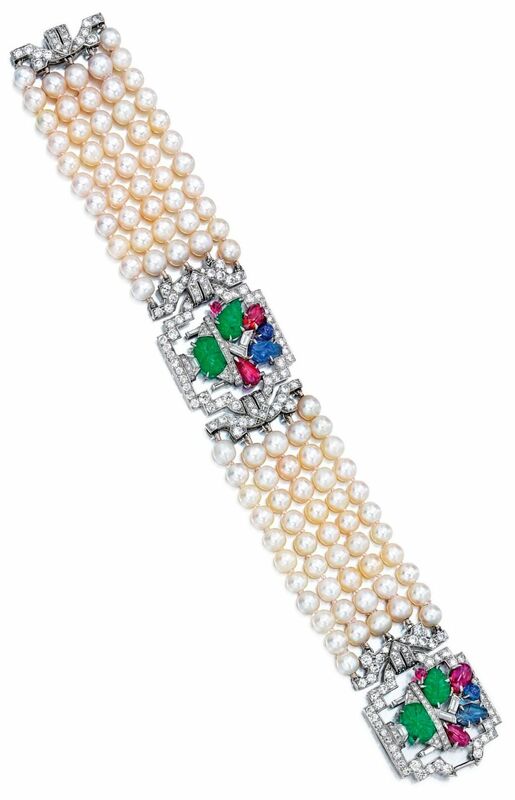 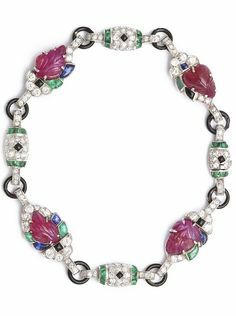 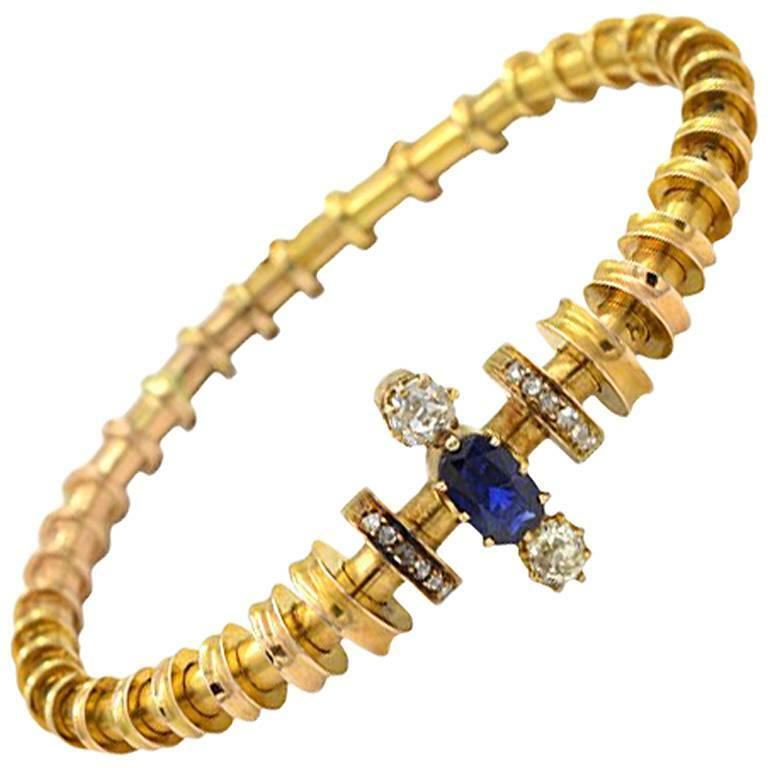 Elegant Art-Déco diamond sapphire bracelet, ca 1930. 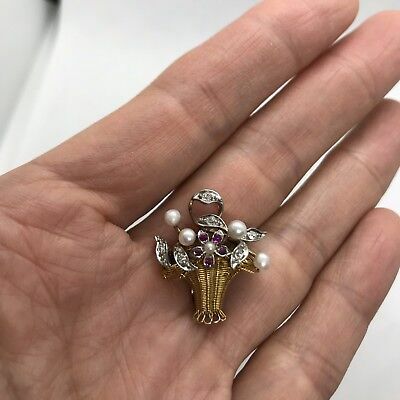 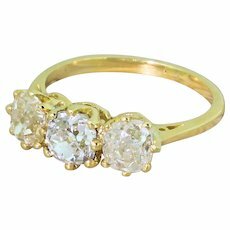 Antique 1.65ct Opal and 0.32ct Diamond 18ct Yellow Gold Cluster Earrings Circa 1.